Savile Row co are offering a whopping 20% off all their shirts (excluding clearance items). Seems like a great opportunity to take adventage of the sophisticated look that they offer, without breaking the bank. 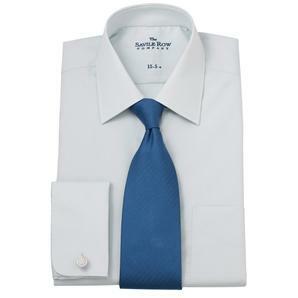 For example, take the pictured classic light blue shirt. Previously £60, this is now priced at £29.95. So with the below code you can pick up an extra £6 off ending up with a quality formal shirt for a very reasonable £23.95. Step 2: Enter the following discount code at the chackout: E20. Act quick! Offer expires 11th May.